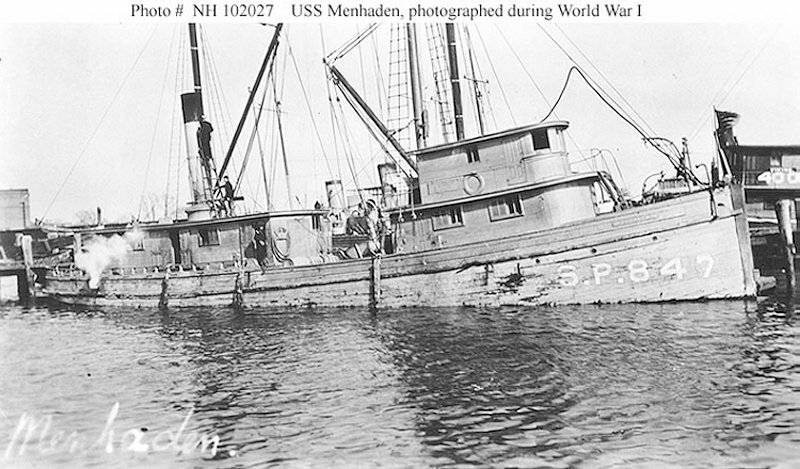 Built in 1905 by C. W. Crockett, Pocomoke City, MD; Acquired by the Navy, May 1917; Commissioned, 21 May 1917; Decommissioned, 12 March 1919 and returned to her owner. Fate unknown. Specifications: Displacement 93 t.; Length 100'; Beam 17' 9"; Draft 9' 6"; Speed 8 kts. 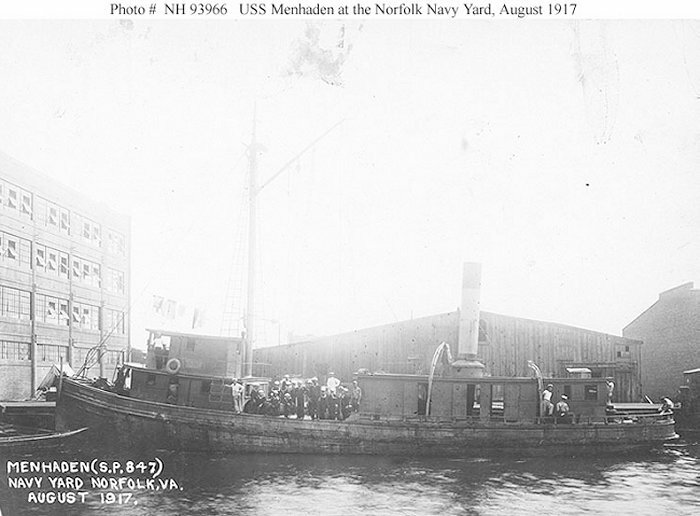 ; Complement 19; Armament two 1-pounders; Propulsion steam..
59k At the Norfolk Navy Yard, Virginia, in August 1917. 105k Photographed during World War I.
DANFS history entry located on the Haze Gray & Underway web site, the main archive for the DANFS Online Project.